BS 3293 Standard is a material and dimensional standard only and applies to forged carbon steel slip-on and welding neck flanges of nominal sizes 26 in and larger, for use in the petroleum industry. Drilling, bolting, facing and thickness dimensions are applicable also to integral end flanges of valve and fittings. Four classes of flanges are provided for, namely Classes 150, 300, 400 and 600. The standard does not include pressure/temperature ratings; the flange designations quoted are for identification purposes only. To facilitate ordering and to ensure interchangeability, flanges in this standard are designated as Classes 150, 300, 400 and 600. These class designations, however, do not imply specific pressure/temperature ratings in the same manner as flanges in accordance with BS 1560. Users shall therefore satisfy themselves that the flanges selected are adequate for the intended duty. Where it is required to use the flanges in this standard at temperatures below – 20 °F reference should be made to BS 3351. For Class 150 flanges, raised facings only are specified. 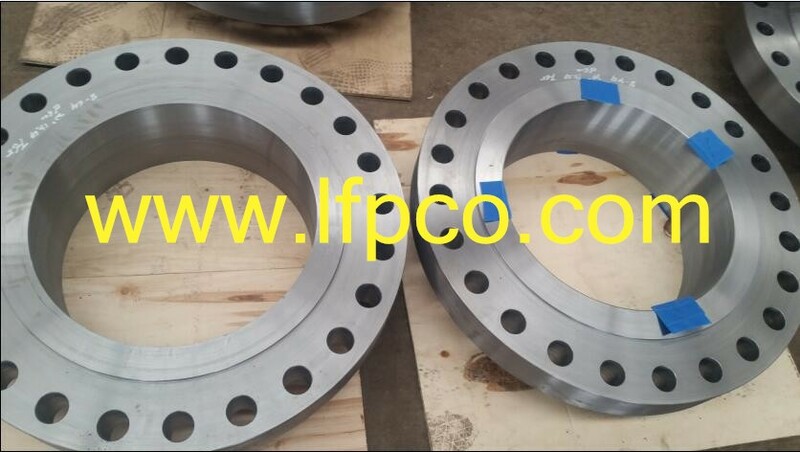 For Classes 300, 400 and 600 flanges, both raised facings and ring-joint facings are specified, and the purchaser shall specify when ordering, which type of facing is required. The 1/16 in high facing is the regular type of raised facing for flanges of Classes 150 and 300, and the 1/4 in high facing is the regular type of raised facing for flanges of Classes 400 and 600.